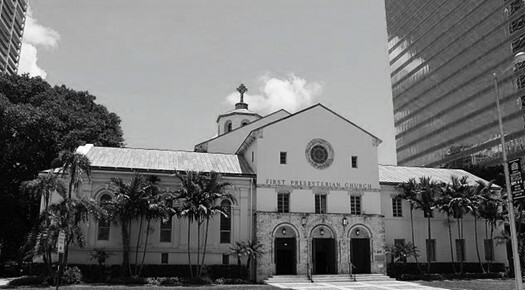 The Miami Herald reports that the First Presbyterian Church of Miami, the oldest organized congregation in the city, has been hit with a $7.1 million tax bill by the Miami-Dade Property Appraiser, which claims the church has leased a portion of church grounds to a for-profit school and food trucks, violating its religious exemption status. The church… has run a K-8 religious school on the property since 2008. The bill comprises a tax lien totaling $6.5 million (including interest and fines) for the years 2009-2017, and a current bill of $509,526.24 for the 2018 year. The taxes only apply to the portions of the property deemed to be in violation of the exemption, between 29-35 percent, depending on the year. According to Florida Statute 196.196, only the portions of a property that are used predominantly for charitable, religious, scientific, or literary purposes can be deemed exempt from taxation. But representatives of the church argue that the tax bill is an example of religious discrimination. Some legal experts think the discrimination claim will have a tough time sticking in court. The Miami Herald notes that the church property is assessed at 66 million dollars, but that wealth only exists on paper though. Fifteen years ago, the city designated the church a historic site; it may not be demolished or relocated. It may, however, be taxed, the city’s tax assessors say.